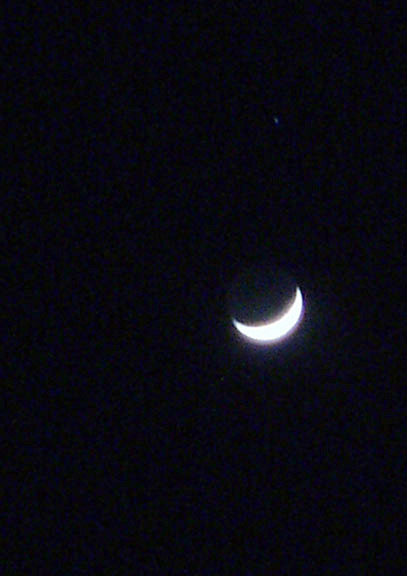 Tonight the Moon appeared next to a naked-eye star that showed up in the camera without any binoculars or telescopes. The star was Alnath, the tip of the upper horn in Taurus the Bull. I saw Alnath with my own eyes 47 minutes after sunset and began taking some photographs. 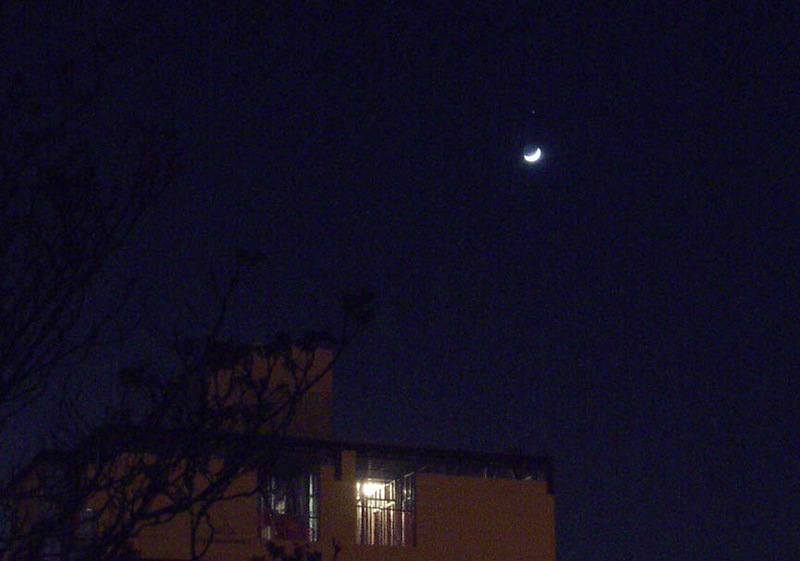 This first photo is a crop, the camera in zoom mode. Alnath, a 1.6-magnitude star, can be seen by double-clicking on the photo, just above the moon.